Flexcube, an Australian company which manufactures oxygen-breathing ­polymer and oenological oak wine barrels, is slowly steering away from the domestic and into the foreign markets, where it makes a large chunk of its profit. The reasons behind that, said the company’s Chief Executive and owner Peter Steer, was Australia’s high cost base and the bleak future of its manufacturing sector. According to the article on the Financial Review, the company’s international sales could account for approximately half of its annual turnover by the middle of the year, driven by strong demand from “new world” wine regions in South America and the United States. “We always intended the company to service the international market, as Australia represents merely 5% of the global ­barrel market,” said Mr Steer. Flexcube has managed to achieve 20% growth in sales each year for the past five years. In the financial year 2012-13 Flexcube managed to post annual sales of $2.45 million after tax, and is close to achieving its goal of hitting $3.6 million in after-tax sales for the 12 months to June 30th, 2014. The company has now set its sights on achieving growth of more than 40%, to $5.2 million after tax for the 2014-2015 financial year. Speaking in an interview for the The Australian Financial Review, Mr Steer said Flexcube’s targeted markets in the new world wine regions, such as the United States, South Africa and Chile, were strict about cost-efficiency and more open to innovation. 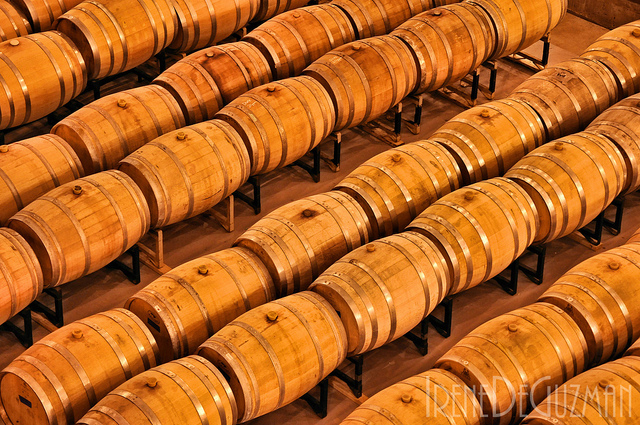 He said Flexcube is well positioned to compete on those markets, as its barrels lasted four times longer than expensive oak barrels, and the company was on track to reduce capital and operating costs for ­barrel-matured wine by as much as a third. Mr Steer said the company was now trying to break into the tougher and more tradition-bound European market. The company has raised around $2 million in the past six years from 57 Australian and international investors.